I am SUPER excited about Heidi's new Heidi's new Music for Classroom Management CD. I recently received it in the mail and have been listening to it getting ready to use it with my new kiddos!! This year I want to use a lot of quick, fun, free incentives with my students including singing fun songs and this CD fits perfectly with that goal. A few of my favorite songs are Is It a Question of a Story? Criss, Cross, Applesauce, Snap That Cap, and The Smarty Pants Dance. You can't go wrong with one of Heidi's CD's. The kids always love singing the songs and I love the movement component that Heidi always includes. 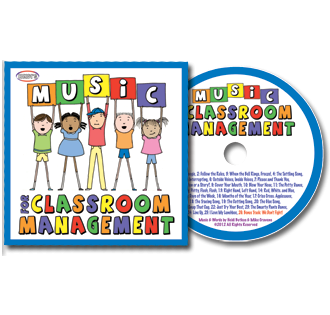 Learn more about Heidi's Music for Classroom Management CD and download the lyrics and motions for free here. If you are not already familiar with Heidi's CD's then you have to check out all 5 of her sight word CD's. They are a MUST for every pre-k, kindergarten, and first grade classroom!! 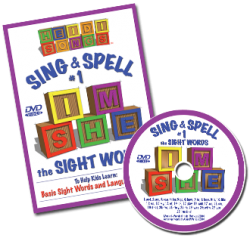 Learn more about Heidi's sight word CD's here. I am very excited to announce that Heidi has graciously agreed to giveaway a copy of her Heidi's new Classroom Management CD to one lucky follower. All you have to do to enter is 1) Follow Chalk Talk and 2) leave a comment below with your email address and a way you could use the CD in your classroom. The giveaway ends Monday August 20th at midnight. Good luck everyone and happy singing and learning!! I follow your blog. Can't wait to use with my k babies! Heidi's dvds are the best! I am a follower, love your blog btw. I have never used these CDs before but I'd love the opportunity! I would use it to teach procedure at the beginning of the year and reinforce throughout the year, during circle time, during clean up time, or for brain breaks. I've always wanted to try out her stuff!! I would definitely use the CD with my kinders during transitions and brain breaks. Love your blog by the way! Of course I follow you! I want to get some of her cd's but wasn't planning on this one. Now I want, though! I can't wait to hear Heidi's new CD! Her sight word CD's are amazing! I would use this CD for movement and brain breaks during the day. I follow you and enjoy all the marvelous ideas you share. I would love to have this CD! Hi! I follow your blog, and I ADORE Heidi Songs! Love them! I would use this new CD for transitions and afternoon meeting on the rug. I follow your blog! I absolutely LOVE Heidi's CDs and DVDs. I would love to add this one to my collection! :) I would use it during our opening time to strengthen routines. Thanks for the chance! I am so excited! This CD wouold be great in our room. Our K babies absolutely could use all the extra help they could get :) We would use the CD daily to help with the anxiety of school and all the new discoveries we are making at the beginning of the year! I follow your blog. Knowing how my students already respond to Heidi's Songs music, I know that her behavior management will be right up there with the rest of the stuff. Sometimes just singing a song to help them remember how to sit or listen, etc. works so much better than verbally telling them. Hi! I follow your blog and would love a chance to win Heidi's new CD. I use her sight word CD's already and the students LOVE them. :) Sounds like this new CD would be great for transitions, morning meeting and teaching routines. Thanks!! I follow your wonderful blog! Would love this to help my Kinders learn the routines right - and singing is the best way to learn! I follow your blog. It was the first blog I ever found and have been a follower for a couple years. I love music in my preschool classroom. We sing and dance our way through the way. I use to to teach new concepts and to get the sillies out. I would love a new CD for my room. I just followed your blog. I would love to have this CD! I would use them as part of our pickup routine. I follow your blog. I have been wanting to get this for a fun way to incorporate into our morning group time. I LOVE, LOVE, LOVE Heidi Song's CD's. I use all of her sight word CD's already. The Classroom Management CD's are on my wish list. I would use the CD's for teaching procedures / routines because kinders LOVE to sing! I know if this CD is anything like the others it will be worth it's price in gold! I would love to have it! Love Heidi CDs!! I would use the cd during morning meeting and for brain breaks. I already follow your blog. Can't wait to hear Heidi's songs! I follow your blog and I would use the CD for brain breaks! I am a follower and I would use the CD for transitions, routines and management. It's time for a change in my go to cd's and this would be great! I follow your blog! I would use these if we have extra time before going to specials or lunch, during transition time, gosh, so many ways they could be used! I follow your blog! I would use it to unify my class with my co-teacher's class. We are two teachers sharing the same classroom. It would aid each class in knowing the expectations of both teachers are the same. Follow your sight! Love your ideas and pass some on to other teachers in my school. I use music a lot in my classroom. I think that music helps students learn and remember things - it's always easier and more fun when there is a catchy tune. I would use the classroom management CD for teaching procedures and routines. This would be a fun and interesting way to engage the students instead of just rambling to them. I love the lyrics to Potty, Potty, Flush, Flush! I follow your blog. I am not familiar with Heidi! Where have I been? I would use the CD to help me teach routines to my kindergarten and first grade students. I'm already a follower. I thank you for the chance to win. This would be my first Heidi CD, so my fingers are crossed. I'm already a follower. Thanks for the chance to win what would be my first Heidi CD. Keeping my fingers crossed. I follow your blog. Thanks for the great ideas! I love Heidi's CD's and DVD's. It would be great to have her new CD to use during transistion times. Can't wait to see how the "Is it a story or a question" song works with my kids. That's such a hard thing to teach! Hi - I follow your blog. I have never listened to Heidi Songs but would love the opportunity to check them out. Sounds like they would be perfect to reinforcing circle time behavior. I follow your blog--lucky me:-) I own on Heidi Songs CD and love it. My hope is to own many more. Thank you for the chance to win the one that's at the top of the wish list. I would use the cd as part of our morning meeting, but I bet they would love it for indoor recess, too! I follow and love your blog! I follow your blog. This cd would be fantastic to teach, and reinforce rules for my firsties! I love following your blog! I would use Heidi's CD's as brain breaks in my Kinder class! I forget to say I would use this during morning meeting. I follow your blog everyday and enjoy all the information that you provide. Would love to have Heidi's music in my classroom. I follow your blog. I would use this to transition between things with my little ones. I follow your blog ane I would love to use the cd to establish routines. I would use this to support my classroom rules. I love your blog! I have used Heidi's Sight word songs and would love to use her new cd throughout the day to reinforce routines and expectations. I would love to win this. I love Heidi songs!!! I'm a new follower and I would love to use Heidi songs to help my students with transitions! We follow your blog and love it! Please put us in the giveaway. We are fans of Heidi's sight words songs. I have been following your fabulous blog for a while now...love it! I also LOVE Heidi's sight words cd's and believe they have helped my kiddos sooo much! This cd would be perfect for circle time! I follow your blog. Thanks for the opportunity. I love Heidi's product and my students also enjoy them. I think they will like the opportunity to learn strategies in fun and engaging way. THank you so much for sharing this!! I recently starting following your blog and I am learnign so much!! I would love to use Heidi's CDs and other resources with my kindergarteners. My KG team is going to love this!!! I would love to use this CD to reinforce the rules and procedures for all of those musical learners. Can never have too much music in K! I would love to use this CD for a fun way to reinforce procedures. I am a strong believer in using songs in the classroom! I recently learned about Heidi Songs from my New Teacher Orientation. I would love to incorporate her CDs into morning meeting and phonics/word work time especially for my lyrical learners. I am a follower! I love to use music in my classroom, I am a big Jack Hartman fan :) I would love to use the songs to implement procedures in an engaging way! I am a follower and love your blog! And I am doing a pirate theme this year too. I LOVE Heidi songs and so do my kids! We make up songs inspired by Heidi for sight words that I don't have of her CD's. I would use the songs all the time for behavior management, transitions, starting the day off right, etc. Sounds great! I am a follower! I would love to use them during transitions! I would use the CD for transitions. I follow Chalk Talk and I LOVE both you and Heidi! Love your blog. I have read all about Heidi Songs but have never seen any of her videos. Would love to win one!! I have never used Heidi's Songs, but I have heard so many good things about them. I would love to use her CD's in my classroom this year for morning meeting! I follow your blog and love it! I use a lot of Heidi's dvd's in my classroom. It's funny because my kids always think it's me on the screen singing and dancing - lol! Love Heidi Songs! I really want this CD too! I am following your blog too! I have heard a lot about Heidi's songs. They sound great. I am a follower. It sounds wonderful! I'd love to incorporate it into our day at school. I follow your blog & would love to win Heidi's songs. Thank you! I follow your blog and would love to use Heidi in my class! I am new to kindergarten but I know that singing draws those kiddos in! Can't wait to sing my day away! mrsbiddison@gmail.comI went to the website! Love it! I liked the FB page too! If you can sing it, you can learn it. Love to have it! I love to follow your blog. I just found out about u and HeidiSongs. U guys R great. I would love 2 start this year off with Heidi. I follow your blog. I have several of Heidi CDs. They are great! I love using her music to teach throughout the day. I follow your blog. I have several of Management cds . They are great! I love using this cds.